In 2014 new legislation was introduced - charging private patients up to €813 a day to stay in a public hospital bed. Now in 2017 we are seeing the impacts. Many of us have been there; maybe with a young child who has a very high temperature or as a teenager with a broken arm. At some point, a lot of people reading this will have attended an A&E department and, for many, making the decision whether or not to go to A&E at all can be a tricky one. Is the problem serious enough; can you hold out until your GP’s surgery opens; should you call for an ambulance and will you have to wait for hours before being seen? These are the types of things that anyone considering a trip to A&E will ask themselves and with this in mind, we’ve compiled a list of helpful things to know about the real life ER. Should you call for an ambulance and will you receive priority treatment? If you feel that you need an ambulance then call for one, but it does not mean that you will receive priority treatment. Every patient must go through a medical assessment process called triage, which allows the medical teams to decide who is treated first on the basis of need. Dr Gerard McCarthy, Consultant in Emergency Medicine at Cork University Hospital says, “If you get an ambulance you will be triaged in the same way as everyone else presenting to A&E. However, if the ambulance staff phone ahead and say, “this patient is seriously ill, we need to go to the resuscitation room”, we are then put on standby”. What is triage and how does it work? Triage is the assignment of degrees of urgency to illnesses that decides the order of treatment. Patients are divided into one of five triage categories and the majority of people who go to A&E are Categories 3 or 4. Triage Category 1 is the most urgent. Dr McCarthy tells new doctors that if a triage Category 1 patient comes in to A&E, to drop what they are doing and deal with that person straight away.“That means cardiac arrest or something similar where if you don’t intervene immediately they could die,” he says. Between 10 per cent and 20 per cent of A&E patients fall into Category 2. This could be someone with a heart attack, stroke or severe asthma. “It’s not so much the diagnosis but the clinical state of the patient. We would attempt to see them next. Triage Category 3 and 4 are the majority of the patients that you meet, they have been seen and it has been decided they will not come to clinical harm by waiting, but you’ll try to see them as fast as you can,” Dr McCarthy says. Do I need to have paid tax and PRSI to access A&E? In Ireland, every resident is entitled to medical care in a public hospital and that includes access to A&E. Certain visitors, such as EU citizens, can also access the Irish health service. I’ve heard that patients with private health insurance are being asked to sign a waiver before being admitted to a public bed. Do I have to sign a waiver? Can you tell me more? “Patients with private insurance waiting to be admitted to a public bed through A&E are now also being presented with a Private Patient Insurance Form (waiver form) by the hospital. The waiver form, which can cause huge confusion, says that the patient has waived the right to be treated publicly,” Curtin says. Why wouldn’t you sign the waiver, if you have health insurance? 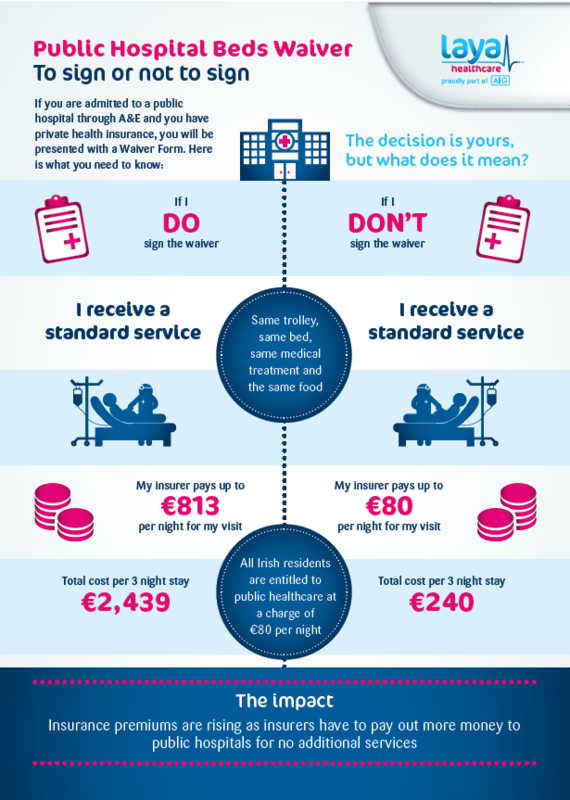 If you decide to be treated publicly, you’ll be charged €80 for every night you stay in hospital, for up to 10 nights. Your insurer will cover this cost. However, if you sign the waiver, your insurer will be charged up to €813 per night, for what could effectively be the same treatment and the same public bed. This is the impact of the Public Beds Re-designation Charge. Curtin says recent price increases in health insurance are largely attributable to the rise in claims coming from public hospitals. She says that members can sign the waiver form but should know what they are signing, which isn’t always the case. She also advises patients to be aware of the fact that they will be staying in a public bed, whilst paying a private bed rate, something which can have a knock on effect and be reflected in the price of premiums for all members. She advises patients to “ask if you are going to get a private bed or better access to facilities” if they decide to go privately. So if I have the right to a public bed, why do I need health insurance? Private health insurance offers many other benefits such as access to a wider choice of hospitals, access to private medical facilities and the security of knowing that the cost of your treatment or hospital stay is being taken care of by your health insurer. Even in a public hospital you will be charged a minimum of €800 for a ten night stay, which would be automatically covered by your insurer. In addition, health insurance offers greater control over where and when you get treatment, which is a huge consideration given that currently, there are around 530,000 people on public hospital waiting lists. What should you bring with you to the A&E? If you are on medications, bring those. “If you know you need to take something within an hour, take it with you. We will have medicine in the emergency department but it would be preferable to know what your normal medications are. If you are supposed to take a medication at a certain time and you don’t have it with you, speak to the triage nurse about getting it,” Dr McCarthy says. An overnight bag with some home comforts is also a clever option if you think you might be admitted and if you are well enough, a good book can while away many an hour spent in A&E. Are there other options, apart from the A&E? 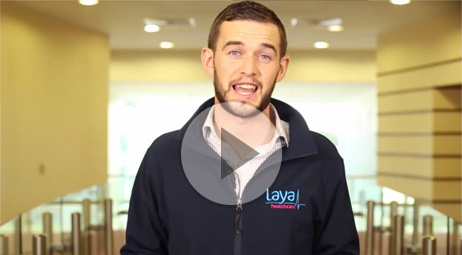 Most towns and cities in Ireland now have an out-of-hours doctor. The cost to attend the A&E is a flat €100 and most out-of-hours doctors charge a similar amount. If a GP refers you to A&E, you will not then be charged the €100 fee. Injury rooms are another option. “They are for people who have suffered a recent injury and feel that they need to go to hospital, maybe for stitches or an x-ray but they don’t feel really unwell. If they go to the injury unit they will be seen by trained staff led by a consultant in emergency medicine and each unit is linked to a hub A&E,” Dr McCarthy said. Will ringing ahead to check wait times help? Waiting times can change quickly, with the admittance of a number of casualties from a road traffic accident for example, so not really. Should you try to wait it out? If you feel really unwell, then no, go to A&E, do not wait.